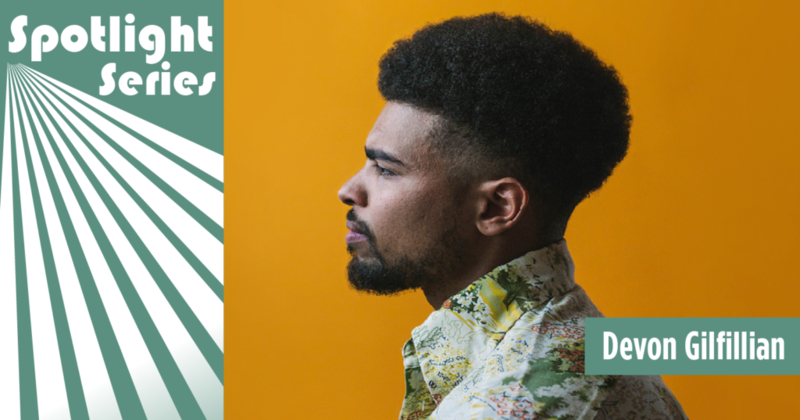 Fresh off the heels of a rousing performance that launched Levitt Shell’s fall season, soulful rocker Devon Gilfillian heads to Levitt Pavilion Dayton—where he’ll perform as part of the venue’s inaugural season tomorrow night! Described as “one of the most exciting young artists in Nashville’s burgeoning soul scene” by Rolling Stone, Levitt Dayton concertgoers are in for an unforgettable night of sweltering blues guitar riffs, rich gospel vocals and velvet-smooth jams that pack a punch. This will be Gilfillian’s third Levitt performance of the season, following performances in Memphis and Middlesboro, Ky., earlier this summer. Growing up as the son of a singer, percussionist and audiophile father on the outskirts of Philadelphia, Gilfillian was always surrounded by music. Absorbing everything from the R&B swagger of Al Green and Ray Charles to the rock ‘n’ roll heroics of Jimi Hendrix, Gilfillian took up the electric guitar at the age of 14 and began his foray into writing his own music. Now based in Nashville, Tenn., he continues to draw from those powerhouse influences while rendering them with his own personalized style that’s teeming with high-octane energy, reverb-drenched guitar riffs and southern blues melodies. Gilfillian’s debut self-titled album in 2016 garnered praise from fans and critics alike, earning him two glowing reviews from NPR’s “World Café,” as well as an in-studio performance. Now signed to Capital Records, Gilfillian’s star only continues to rise. His early 2018 single “Troublemaker” has been met with acclaim and performed at places ranging from Levitt stages, to the Rock & Roll Hall of Fame, to the 2018 NFL Draft—which featured the track throughout its televised programming/advertising, in addition to Gilfillian’s live National Anthem performance. This rising “classic artist for the modern age” is slated to release a follow-up album in 2019 with fellow contemporary blues-star ZZ Ward. To hold us over until then (and give us a taste of the fun in store for Levitt Dayton tomorrow night!) check out Gilfillian’s newly released behind-the-scenes video for “Troublemaker,” recorded live at The Smoakstack studio.